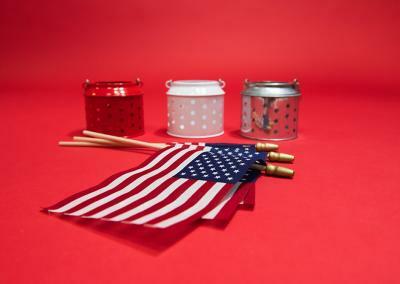 With Independence Day knocking on our doors, it’s time to bring some patriotism into your studio! 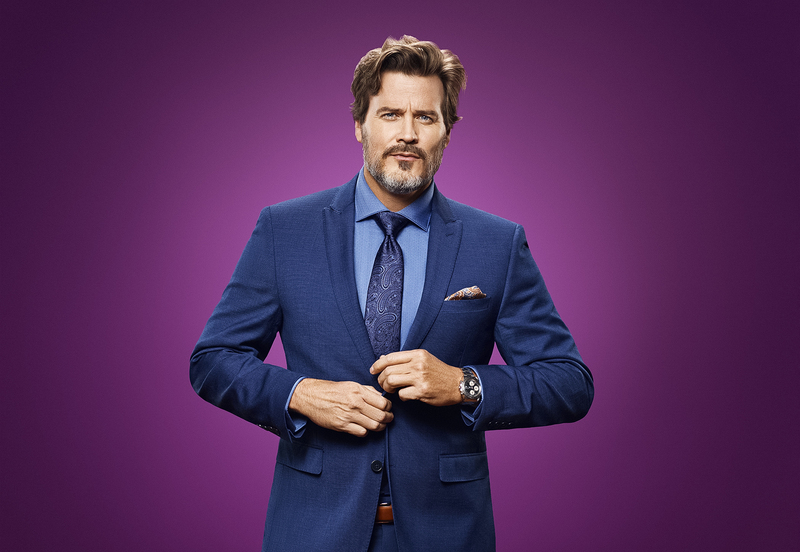 Head over to your local department store to stock up on everything red, white and blue. 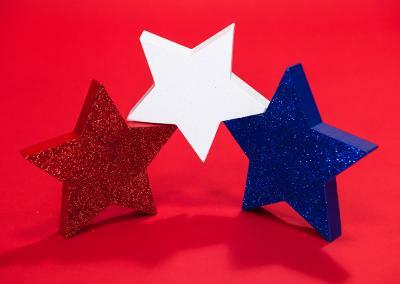 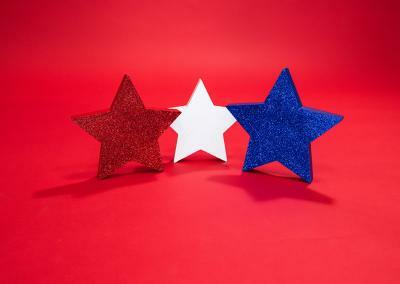 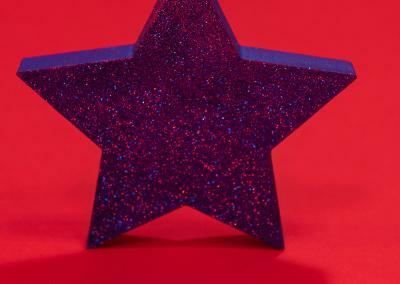 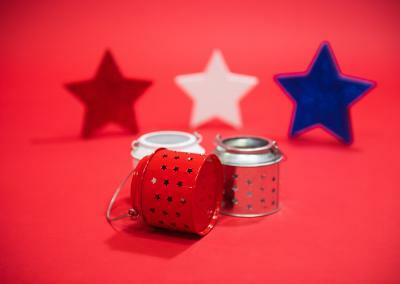 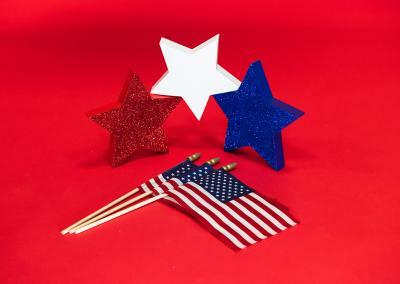 Among our props we have mini American flags, glitter stars and some patriotic lanterns. But what’s a celebration of the 4th of July without some food? 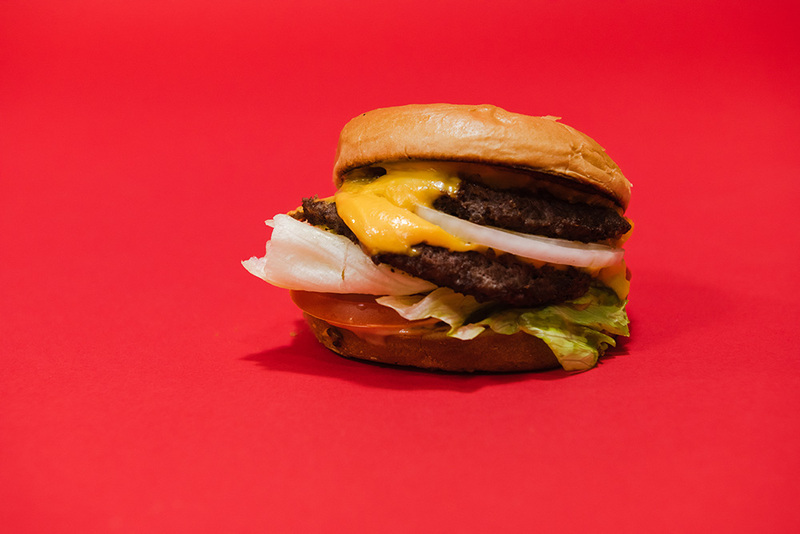 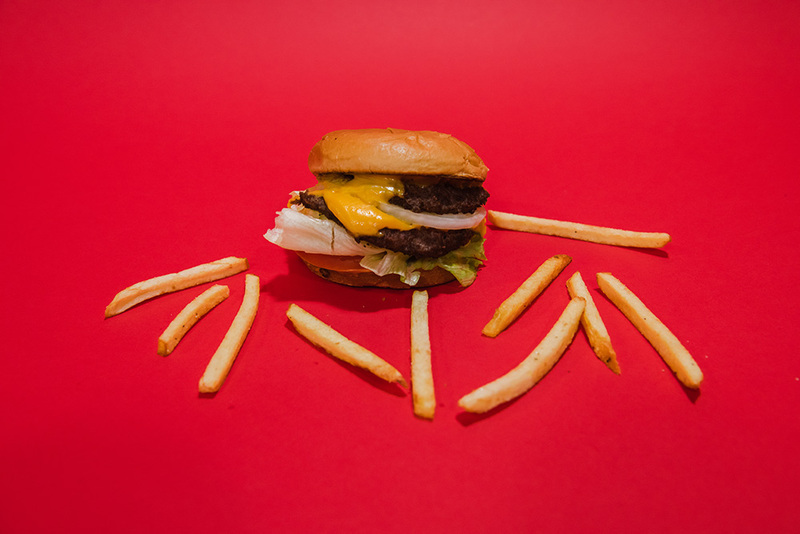 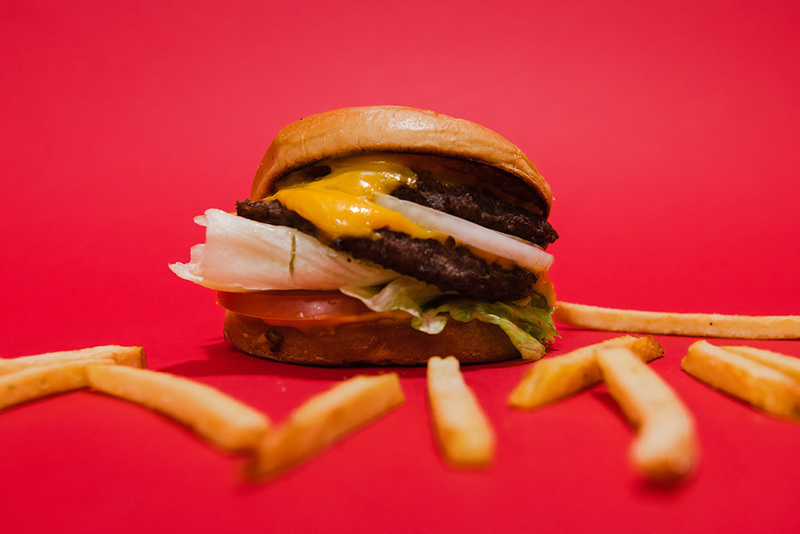 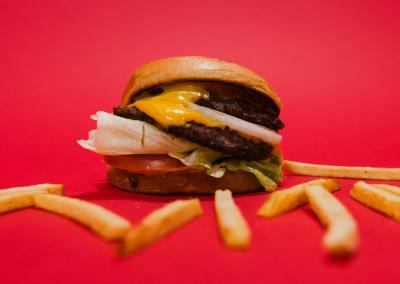 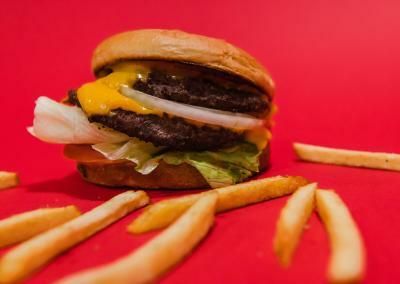 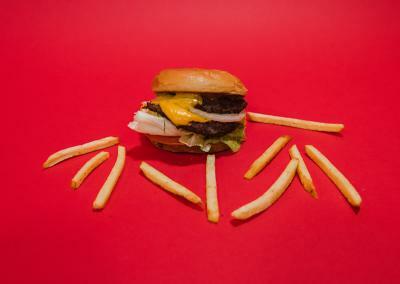 To truly show our American pride we brought in some burgers and fries! 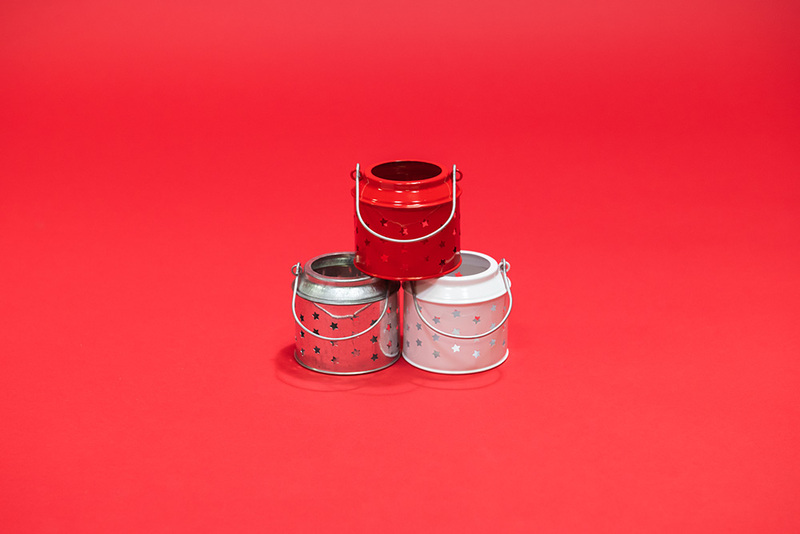 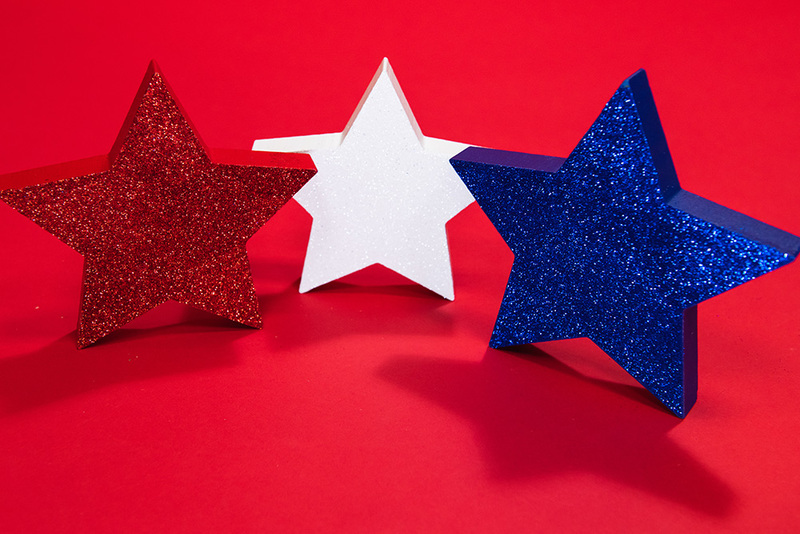 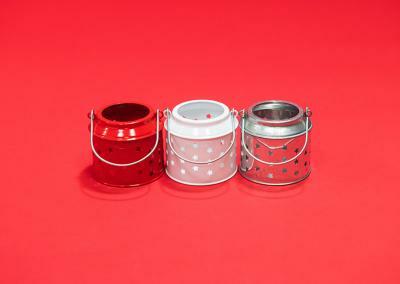 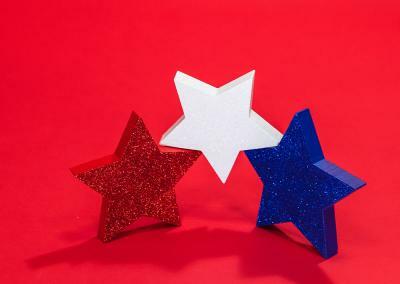 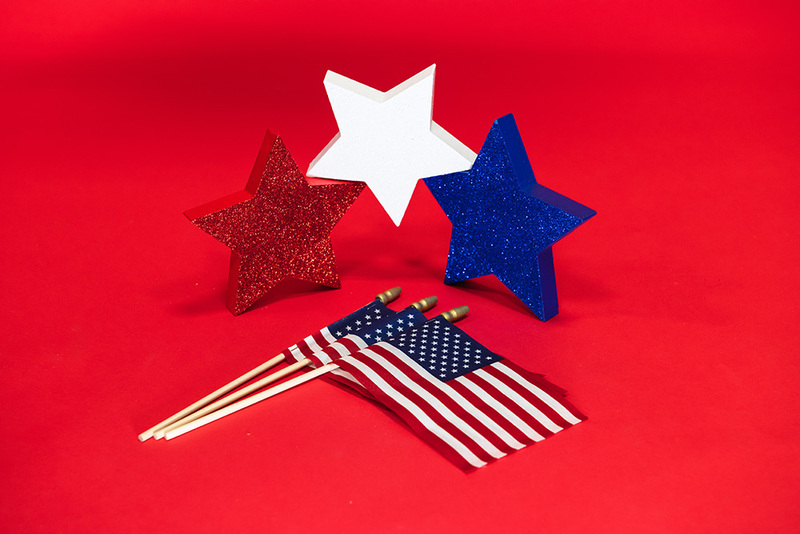 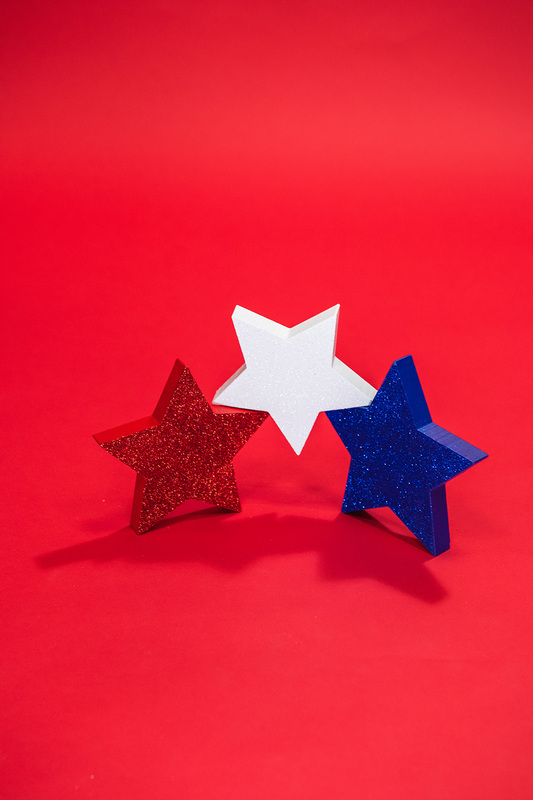 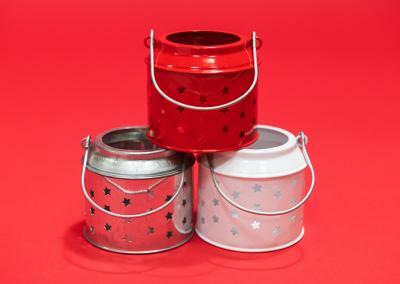 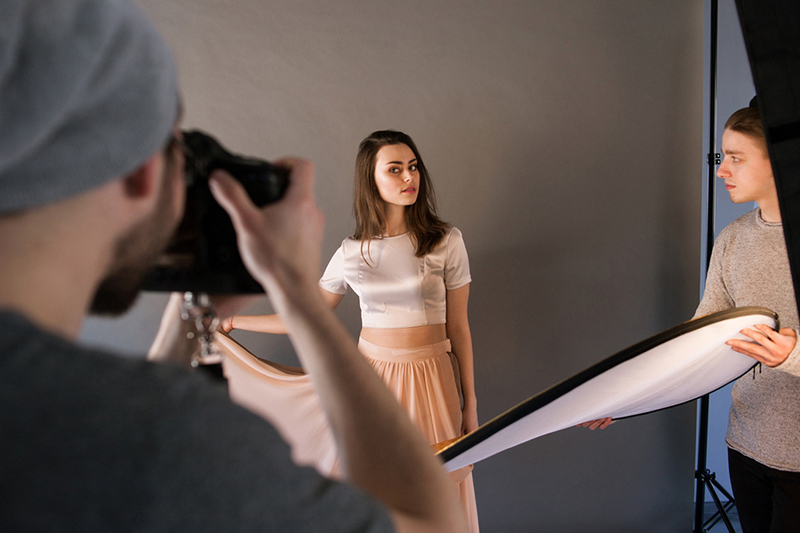 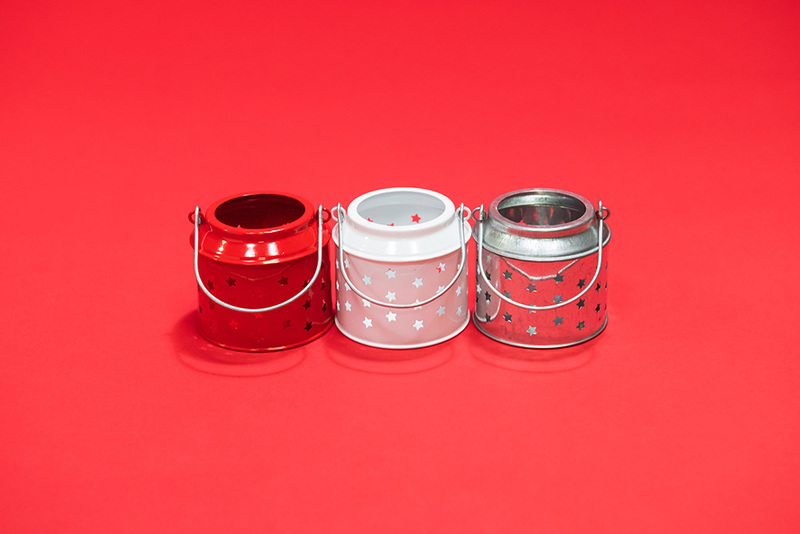 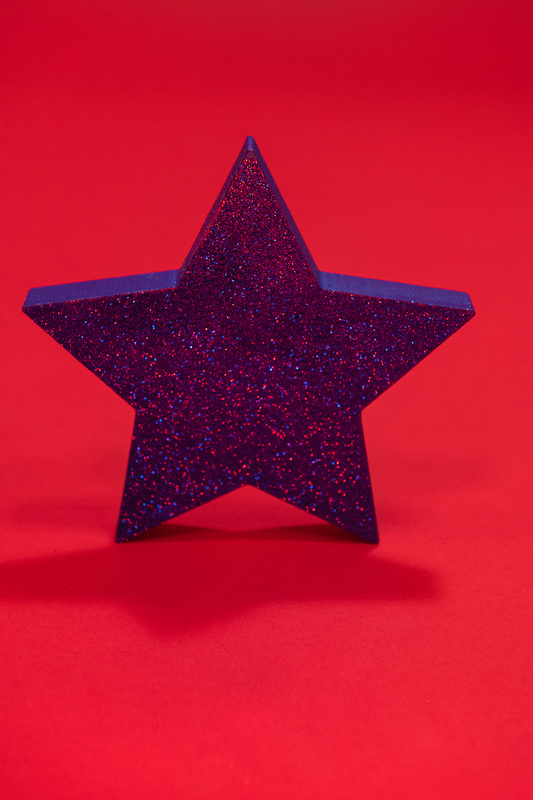 Complete your star spangled set with Primary Red, Studio Blue or Pure White Seamless Paper and you are on your way to an All-American photo shoot. 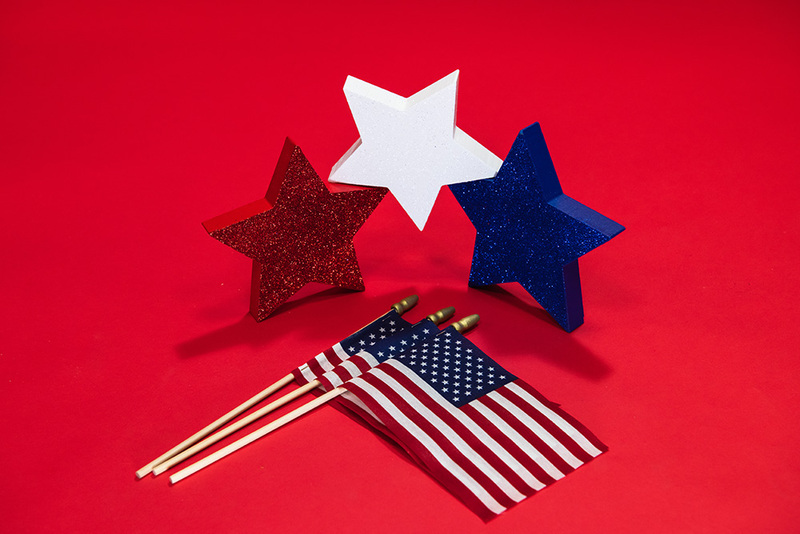 You can even combine the three paper colors to create a unique patriotic striped set!